I had a surprise in the mail box when I got home from work. 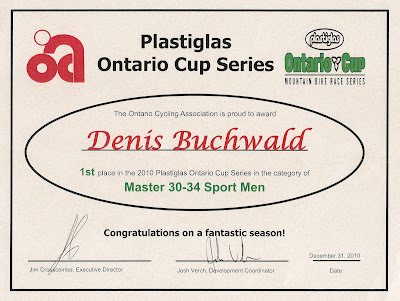 It's official and I have to show it off as a proud cyclist and grateful team mate because, in part, I share the award with those who trained hard along side me and those that supported me at the races. Thank you Jenn, Julie, Amy, Scott and Dave! Hi ya'll.. Its been a cold and snowy winter in Northern Ontario. Granted, other 'places' south of us did receive quite an accumulation of snow over the past few months but their warmer weather tends to make quick work erasing any evidence. Anyway, the Groundhog didn't see his shadow, which is a good sign even if he has only been right 30% of the time, and the days are getting longer - which makes me smile. This off-season has been busy. As if you've been following closely, you'll know that we've undertaken the project of making our own Beer. Thus far, we've got 3 batches under our belts and I'd say we're doing quite well. The 2nd batch is an easy drinking beer, light tasting and creamy. The 3rd batch is a special brew - one made specifically for the Hockey team that Denis plays forward on during the winter months. The Killer Strawberries is a Canadore College Rec League team and of course Canadore is alma mater for several of us Burnt Helmets. The official taste test is this weekend, so I'm certain we'll have a basket of feedback on the 'Killer Strawberry Blonde Ale'. 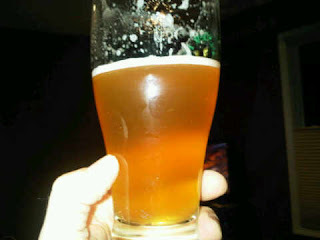 Beer making hasn't been the complete focus, Dave has been dabbling in Journalism with some tasting reviews of a few Craft Brewery Beers - you can read more here. Now, if we can only get him to put down the 'Double Chocolate Cranberry Stout' and grab a pen to write the review! As for me, well - its been spin class 3 times a week with some weights for core strength. I feel fit, and expect I am about where I thought I'd be. Definately anxious to get on the bike outdoors. However, spin class has been much more social than spinning in the fitness room at home as I find I'm driven to push myself further than I would had I been alone. Regarding the racing season, we've only just begun to discuss options for this year. 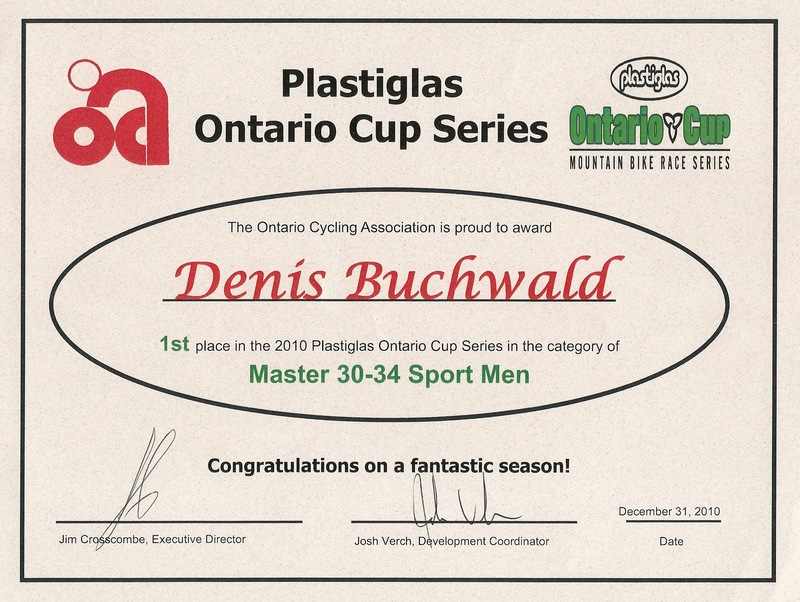 The MTB OCup schedule has been posted with another new venue for this year's championship and final race. Granted, things will be different but how different remains to be seen.